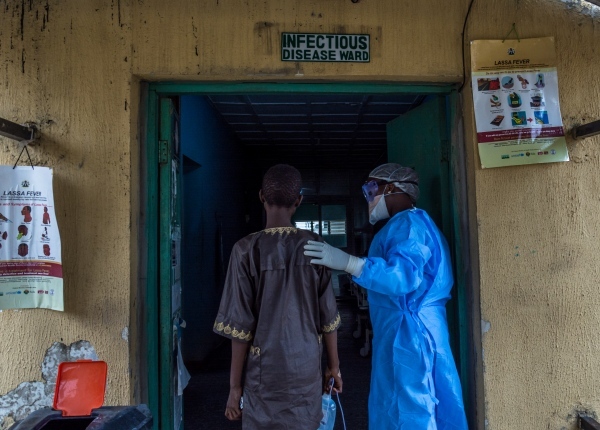 During the first quarter of 2018, Nigeria experienced the worst outbreak of Lassa fever in 49 years. The outbreak led to the death of over a 100 people in different parts of the country, March 2018. No Room For Lassa chronicles the efforts made by the Alliance For International Medical Action to curb the spread of Lassa fever in the country. 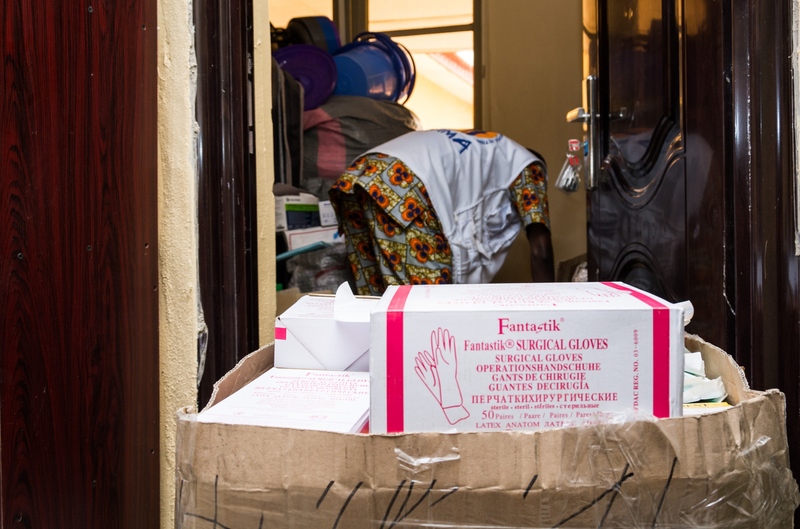 Various species of carriers of the Lassa Virus are put on display at the Lassa Ward in the Irrua Specialist Teaching Hospital, Edo state. 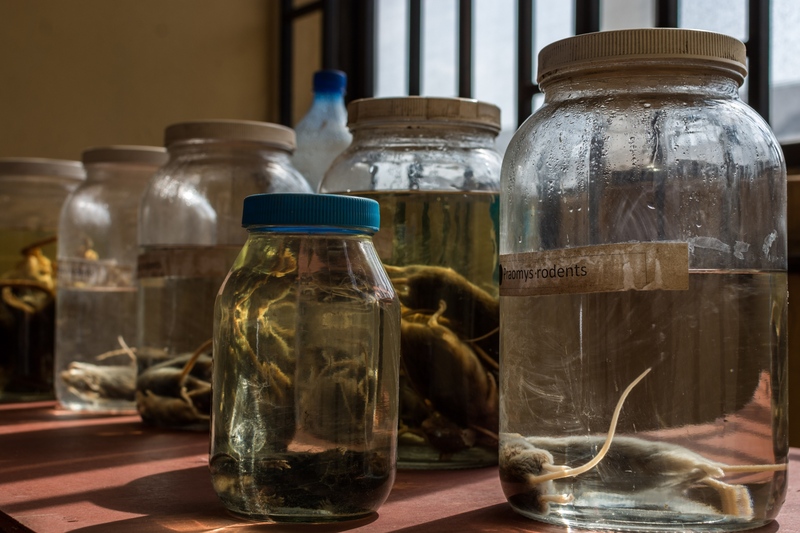 The species which are preserved with formalin are put on display so that members of the public can identify the Lassa carriers. 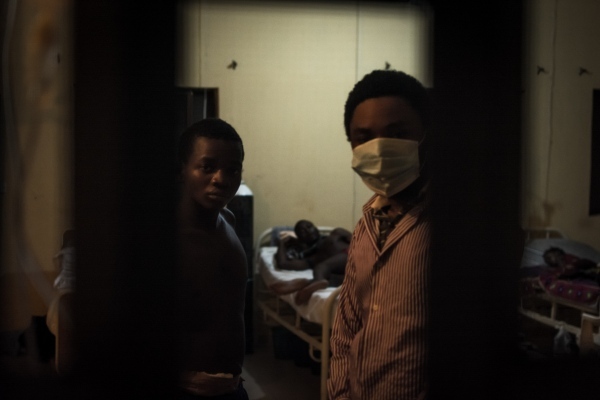 Just before they go to bed, two young men look out of the window at the male ward for Lassa patients at the Irrua Specialist teaching hospital in Edo State. 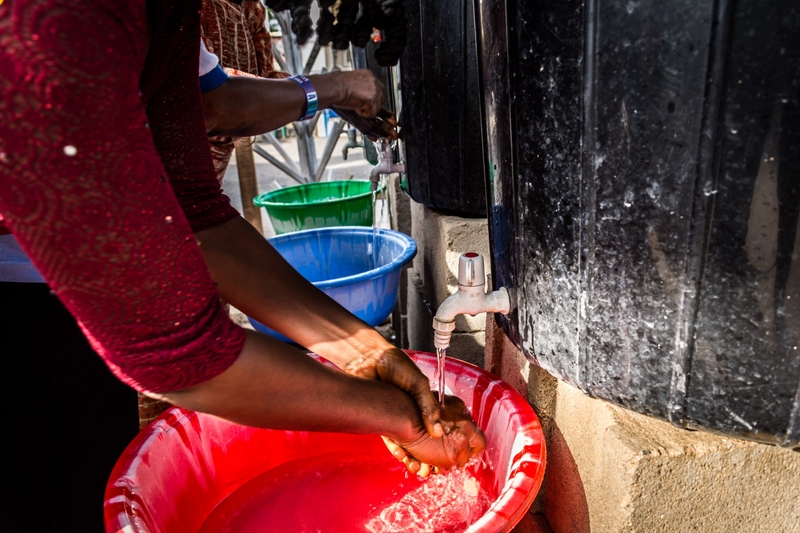 A middle-aged woman disinfects her hand with chlorinated water upon entering the Federal Medical Center, Owo, Ondo state. 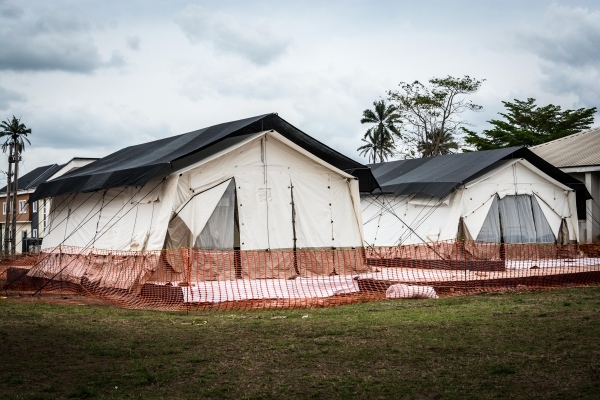 ALIMA donated portable water storage facilities which are placed in different parts of the hospital. They usually contain 0.05% of chlorinated water. Dr. Dally stands in front of the Staff Entrance at the Infection Control Centre (ICC) iat the Federal Medical Centre, Owo, Ondo state. 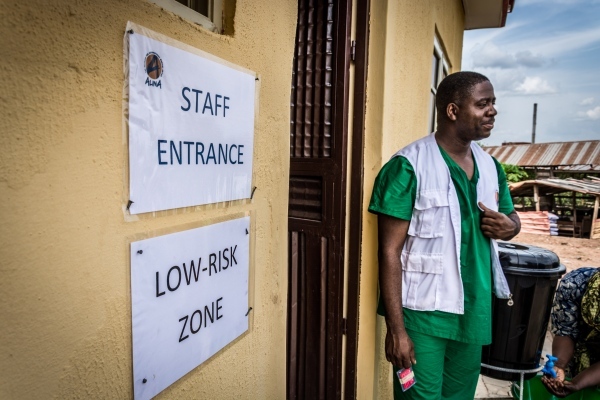 The Staff entrance, is considered a low risk zone because patients don’t have access to the area. 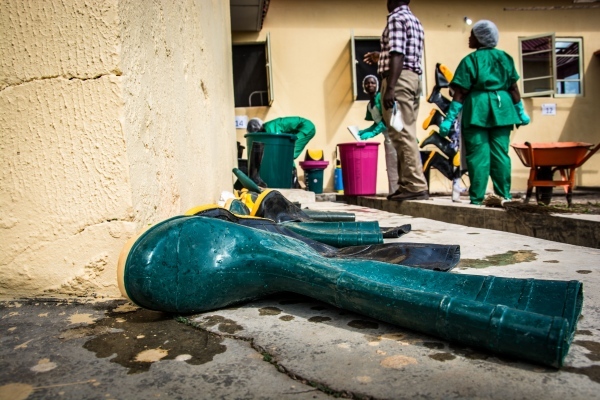 Disinfected boots are left to dry just outside the Infection Control Center, Federal Medical Center, Owo, Ondo state. As a rule of thumb, reusable items are disinfected twice before they can be used again. Some staff of the waste management unit strike a pose. The waste management unit at the Infection Control Center at the Federal Medical Center, Owo, Ondo state was created by ALIMA. Staff of the unit are recruited and trained by ALIMA. 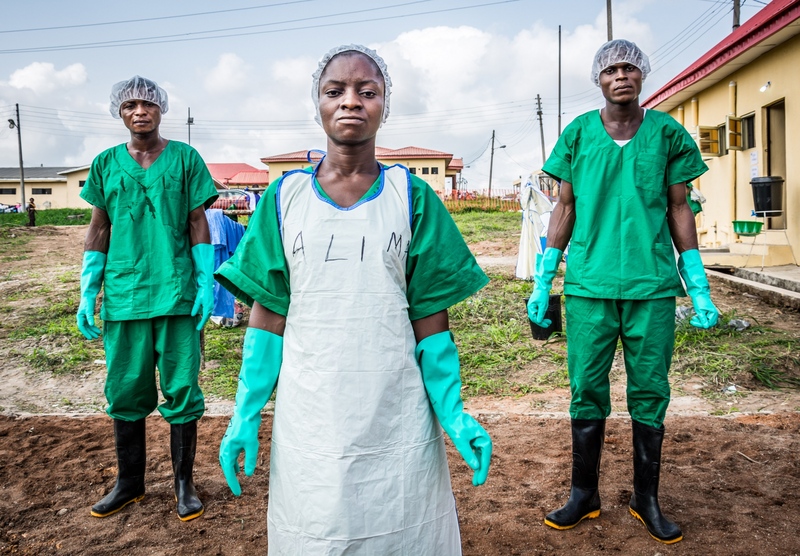 A nurse accompanies a patient suspected to have Lassa fever to the isolation ward at the Federal Medical Center, Owo, Ondo state. 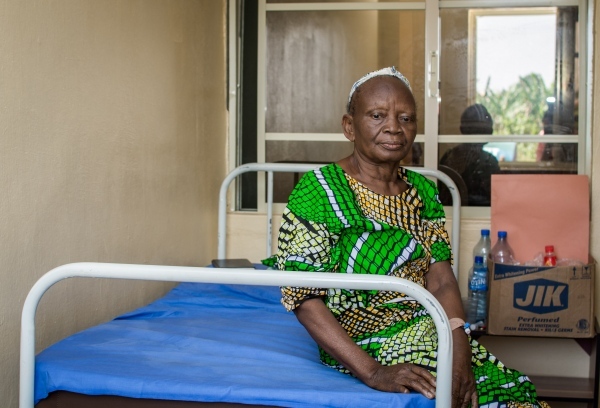 Elizabeth Johnson, a sexagenarian in the Lassa ward at the Infection control center, Federal Medical center, Owo, Ondo state. In her words, “I am a lot better now, thank you ALIMA”. At the Infection Control Center, ALIMA provides free care for all patients at the center. A box full of hand gloves is put just outside the store at the Infection Control Center, Federal Medical Center, Owo, Ondo state. Most of the items in the store were purchased by ALIMA.